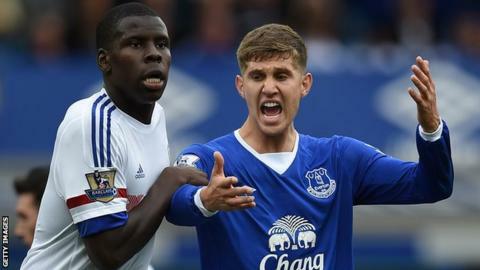 A legal challenge is being made to football's transfer rules that could change the professional game forever. World players' union Fifpro believes the global transfer system - in place since 2001 - breaches basic European Union competition law. It is taking its complaint against the transfer rules of football's governing body Fifa to the European Commission in Brussels on Friday. "This could turn professional football on its head," one source said. Fifpro has been in talks for several years with Fifa, European governing body Uefa and Europe's leading clubs and leagues about reforming the system. But that process broke down acrimoniously in January. Fifpro is now pursuing its complaint against Fifa's Regulations on the Status and Transfer of Players because it says it has no other option. How does the transfer system work now? What these changes would add up to, according to Fifpro, is the "reciprocity of rights" between club and player. As things stand, a player cannot cancel their contract until 90 days of non-payment have passed, and must then take their case to Fifa's Dispute Resolution Chamber. They will most likely win, but not until months later (due to the backlog caused by 4,000 such disputes a year), during which time their career will be in limbo. If a player breaches their contract, on the other hand, they are banned from playing for 120 days and must compensate the club to the tune of their "market value". Fifpro considers this, and transfer fees in general, to be a tax on employment, which if taken to its logical conclusion means the entire system is a restraint of trade that no other EU worker would tolerate. The European Club Association (ECA), which represents nearly 200 of Europe's leading teams, and the Association of European Professional Football Leagues (EPFL) have refused to negotiate on what they consider a further dilution of their contractual rights and another concession to "player power". ECA chairman Karl-Heinz Rummenigge last week pre-empted Fifpro's move by saying any challenge would be "hugely detrimental" and, citing the example of the Bosman Ruling in 1995, said "sometimes decisions made by courts are not for the good of the game". How has the system changed? Fifpro was set up in 1965 with the primary purpose of challenging what was then a very restrictive transfer system. It was only two years earlier that the High Court in England scrapped football's "retain and transfer system", which had allowed clubs to stop players from leaving even after their contracts had expired and they were no longer paying them. Prior to Bosman, football had largely been left alone by EU officials who were busy building a common market - with the free movement of goods, people and services - in almost every other area of life. But that landmark case gave footballers the right to free transfers at the end of their contracts. It also removed the restriction on the number of European Union players any club in the common market could field. It meant players were able to sit out existing deals and wait for better money from clubs that no longer needed to pay a transfer fee. 1965 - Fifpro is founded in Paris when the player unions from England, France, Italy, the Netherlands and Scotland meet to try to "abolish the transfer system"
But it was arguably the end of foreign quotas that had the greater impact, particularly in the Premier League, where domestic football has been globalised. The game's administrators and clubs predicted anarchy after Bosman and spent the next six years trying to hold back the tide of liberalisation, a feat they partially managed with an informal deal between Fifa, Uefa and the EU in 2001. Claiming that football needed some exemptions from EU rules in order to provide contractual stability, the redistribution of money from rich to poor, compensation for developing talent and other "public interest" goals, a transfer system was allowed to develop that still favoured the clubs' rights. Five years later, another precedent was established when Hearts and Scotland defender Andy Webster became the first player to take advantage of a new clause in Fifa's regulations. That said any player under 28 and three years into a contract could break that deal providing they gave written notice within 15 days of the league season finishing. For players over 28, they could do it after two years. However the payment of a "market value" element to the compensation held back an avalanche of Websters - Brazilian playmaker Matuzalem's move from Shakhtar Donetsk to Zaragoza, and Italian goalkeeper Morgan de Sanctis's transfer from Udinese to Sevilla saw both players costing a lot more than their new clubs were expecting. Despite that, the possibility of a player asking for such a move has cropped up almost every summer since, including this one in regard to Raheem Sterling's desire to leave Liverpool. Does it need to change further? Fifpro believes the transfer system, as it has stood since 2001, has not worked. It argues the compromise has not delivered contractual stability, it has not helped foster more competitive leagues, and it has not helped redistribute money from rich to poor - most of the money is circulated between the big clubs in the big leagues, with agents taking a cut too. Fifpro goes even further, saying the transfer system has failed to protect players from the evils of trafficking and exploitative third-party ownership agreements - although the ECA, Uefa and others have worked to ban third-party ownership and the trafficking of underage players. "The whole thing is in danger of crashing down," said one insider close to the dispute. "This could turn professional football on its head and force it to find a new, more proportionate model of revenue distribution. Fifpro is going for the kill."